I used approximately 4000 beads to make the whole necklace. I used fishing line to make this necklace. The custom made, hidden metal findings have antique appearances which are complementary to the necklace's color. 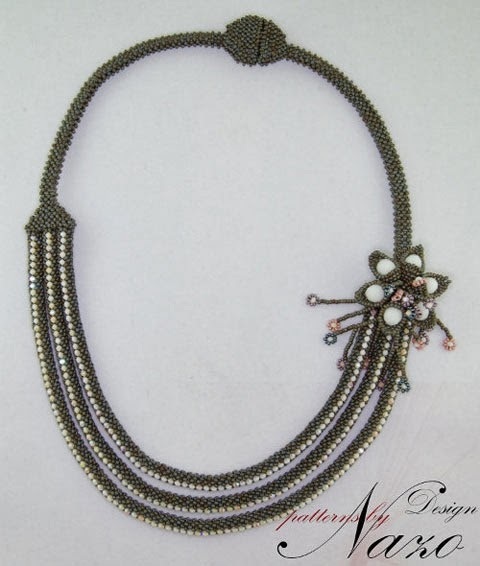 The beaded flower part of the necklace can be detached and used as a brooch.